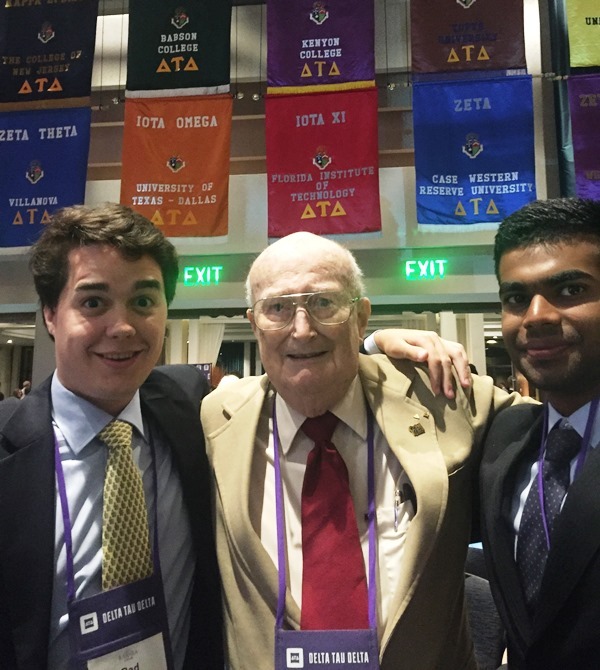 Abhijeet Ball and myself were the two Chi Delts who attended Karnea 2016 in Orlando, FL. With the quorum of delegates being met at the first business meeting, former President Jody B. Danneman called the Karnea to order. During the first meeting, a brief summary of what was on the docket was presented to everyone in attendance. Most of the proposals that were brought to the attention of the Karnea, ranging from the rephrasing of a section of a bylaw to even the most minute details, were approved. While it was very tedious, it was really cool to watch the fate of proposals. Another highlight of the event was during Ritual on Saturday morning. We were told that at most Karneas, the Ritual is really just for show and it gives an opportunity for those present to see a near perfect execution of Ritual. The 2016 Karnea provided a rare and lucky opportunity to watch a new brother be initiated into our organization. Another great highlight was the famous Delt Dinner with Doc Burns and his wife. However, due to some technical difficulties, the dinner ended up taking place during lunchtime. It was great to finally meet this Chi legend after hearing about his dedication and service to our chapter. The meal took place at the hotel restaurant, LakeHouse, which overlooks the private lake on the property, Lake Windsong. With the announcement of the new Arch Chapter, Jim Garboden has been selected to serve as International President of our organization. 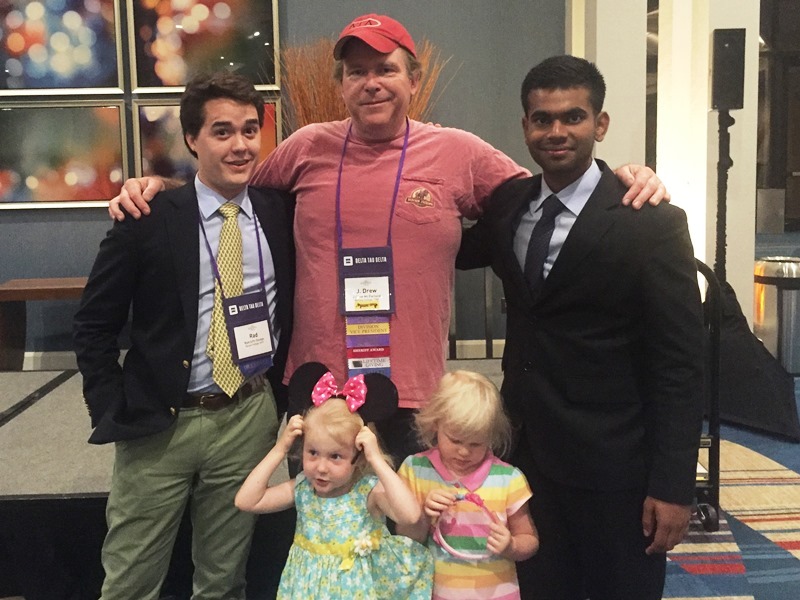 During his speech, President Garboden challenged the fraternity to raise $1,000,000 or more in fundraisers for JDRF, a goal that former President Danneman had set during the 2014 Karnea in New Orleans. Additionally, he has promised to focus on the physical and mental well-being of all undergraduate brothers by promising to brainstorm an initiative. In essence, he said that all brothers in the fraternity, especially the undergraduates, would be receiving a big hug from him. Other events included most present for Karnea spending Friday evening at Magic Kingdom at Disney World. 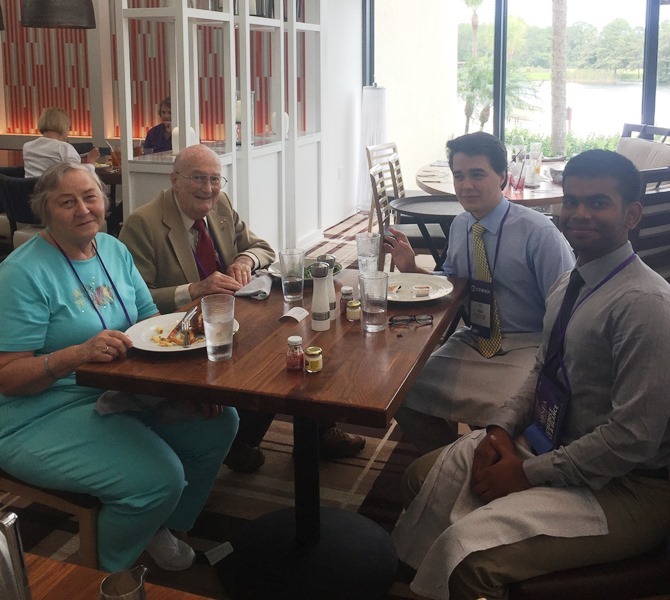 Additionally, besides business meetings, there were many leadership meetings that were hosted by alums who were Chapter Consultants, or even a Chapter Advisor.